Prime Racing Products and Custom Fabrication, LLC, together with the I-35 Speedway in Winston, Mo., and Lakeside Speedway in Kansas City, Kan., present the Smokin’ Hot Summer Series featuring a five-week, ten-race shootout for USRA Modifieds, Holley USRA Stock Cars and Out-Pace USRA B-Mods. In an effort to preserve dirt track racing in the Kansas City area, Prime Racing Products along with the I-35 Speedway and Lakeside Speedway are bringing an unparalleled opportunity to win big! The Smokin’ Hot Summer Series will begin at Lakeside Speedway on Friday, July 13, and will conclude Saturday, Aug. 11, at the I-35 Speedway. Rules for these classes will follow the current USRA rulebook in its entirety. A thorough technical inspection will be performed on the top finishing positions each night, and USRA rules shall apply and be enforced. Prime Racing Products will bring in additional tech support to cover these events. Summit USRA Weekly Racing Series national, regional and individual track points are also accumulated during these events. The Smokin’ Hot Summer Series presented by Prime Racing Products points fund is entirely separate and in addition to the normal track earnings and points. There is no registration fee for the points fund. Car registration at both tracks is required. Blythe Boney of Prime Racing Products will calculate event points per the USRA points system. No extra points will be accumulated for any reason. Competitors must compete in at least nine events of the ten events scheduled for the Smokin’ Hot Summer Series presented by Prime Racing Products in order to be eligible for the guaranteed points fund payout. A "mulligan" may be used for one night of absence (or your worst finish) if competing in all ten events. Points will be paid out on your highest nine finishes. Points funds will be paid no later than Wednesday, Aug. 15. The grand total points fund is more than $20,000 for five weeks of racing! As a long-time supporter of local racing and an advocate for anything Deckman-related, A&B CARSTAR has stepped up as a division title sponsor. Thank you to Brett Bailey and the A&B CARSTAR locations. We are actively looking for other sponsors who want to be part of a positive experience in dirt racing. Track points will be awarded to each driver in the main event as follows: 1st - 100 points, 2nd - 95 points, 3rd - 91 points, 4th - 87 points, 5th - 84 points, 6th - 81 points, 7th - 78 points, 8th - 76 points, 9th - 74 points, 10th - 72 points, 11th - 70 points, 12th - 68 points, 13th - 66 points, 14th - 64 points, 15th - 62 points, 16th - 60 points, 17th - 58 points, 18th - 56 points, 19th - 55 points, 20th - 54 points, 21st - 53 points, 22nd - 52 points, 23rd - 51 points. All other drivers that start the main event and finish below 23rd are awarded 50 points. All drivers that fail to start or qualify for the main event are awarded 45 points. Over and above the points fund payouts, contingency awards will be given to each of the drivers in the top 10 in all three divisions. 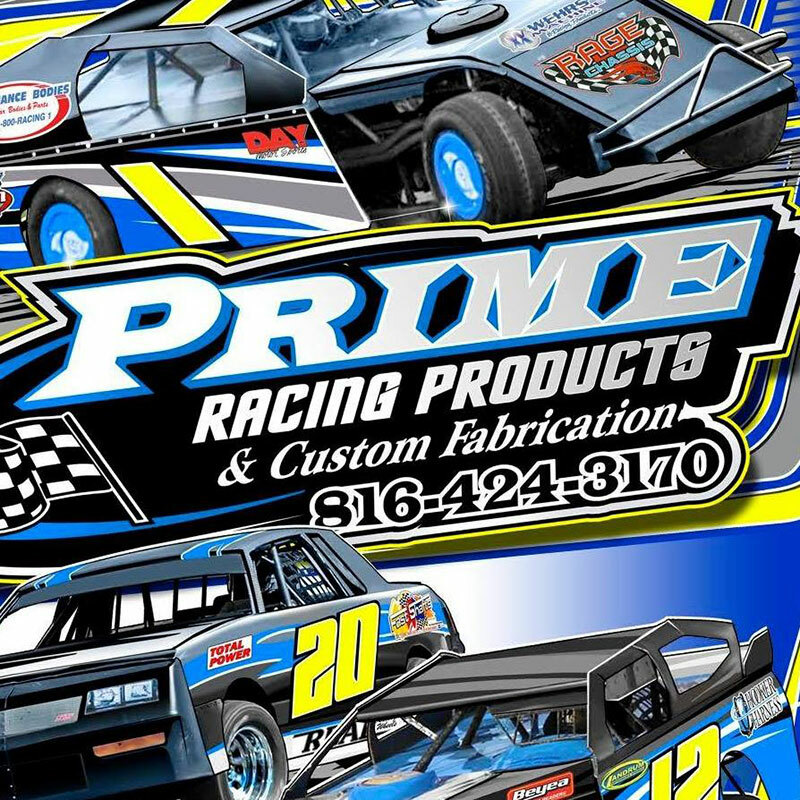 Prime Racing Products has great relationships with all of our vendors. These guys have stepped up in a big way. For example, American Racer and Boubin Tire & Automotive is donating ten American Racer racing tires to be given away at the drivers meetings. Any USRA driver that enters in these three divisions will be eligible to win a new tire. We want to say thank you to Troy Boubin and Boubin Tire & Automotive for their support and belief that we will do our part to make USRA a strong presence in the Kansas City area for years to come. Performance Bodies & Race Parts has donated a Monte Carlo SS Stock Car nose as well as two MD3 rocker/nose valance kits. The winner of these awards will be drawn at the conclusion of the Smokin’ Hot Summer Series presented by Prime Racing Products. All participants who compete in at least nine of the events will be eligible in those drawings. Wehrs Machine & Racing Products has donated ten $25 gift certificates that will be drawn each night. The winners of the heat races in all three classes will all go into a pot and one lucky driver will receive a $25 contingency complements of Chad Wehrs at Wehrs Machine & Racing Products. Fast Shafts has graciously donated five $50 gift certificates toward any purchase as well as five banners to hang in your trailer or race shop. Precision Performance, Beyea Custom Headers, PEM and others are behind Prime Racing Products and our series to grow our sport. Prime Racing Products will be handing out flyers to the patrons at both tracks in hopes they will be willing to walk into their bank, insurance agency, hair salon, convenience store or anywhere in their neighborhood to hand one out and talk positive to our sport. Last, but not least, the track owners and managers at the I-35 Speedway and Lakeside Speedway are working to gain your trust. They have unselfishly donated two-thirds of this points fund. They believe in Dustin and Blythe Boney, and know that they are going to do everything in their power to grow our sport. And we are behind them, because that is what's best for local dirt racing. All questions, comments or concerns can be directed to Blythe Boney at Prime Racing Products by calling (816) 424-3170 or (913) 515-1841. Be sure to visit and like Prime Racing Products on Facebook at www.facebook.com/primeracingproducts. As they have for the last six years and counting, Prime Racing Products is for the racer, from the racer. The I-35 Speedway is a semi-banked 3/8-mile dirt oval located 10 miles north of Cameron on SR 6 (Exit 64). For more information, call 660-749-5317 or check out their website at www.i-35speedway.net. The Lakeside Speedway is located 1.0 mile west of I-435 (exit 18) on SR 5 (northwest of Kansas City). For more information, call (913) 299-9206 or visit www.lakesidespeedway.net.